Comfortable double room with shower and toilet in the room (separate), hair dryer, kl. Safe, satellite TV, balcony (with table, two chairs, two chairs, a parasol, and a clothes horse and a wooden bench); The room is equipped with a wardrobe, two chairs and a table; Also sewing kit available. 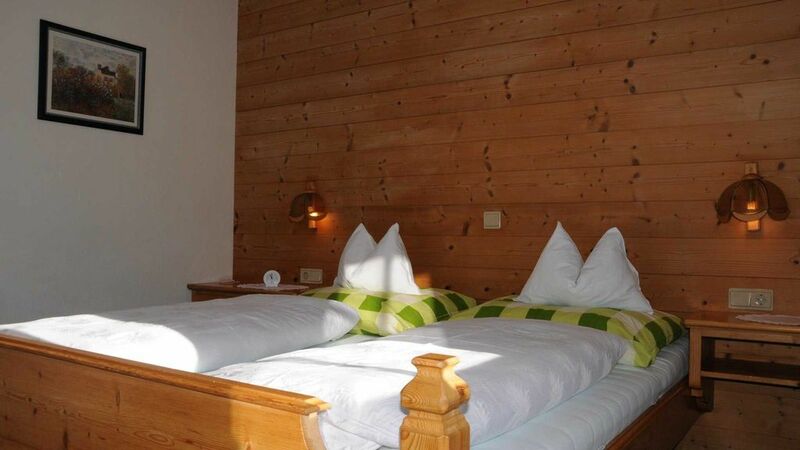 From this room you have a magnificent view of the mountains of Alpbach and the village. Morning and day sun Also suitable as a triple room.